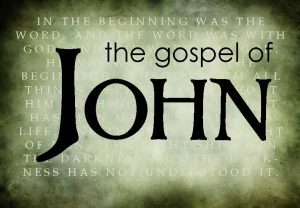 Does the Gospel of John teach that Jesus is God? Jesus-Islam » Jesus Christ » Does the Gospel of John teach that Jesus is God? It is true that Muslims do not give credit to the Bible as a whole, not even to the New Testament. The Koran declares that the Injil (the Gospel) was revealed as the Word of God, yet in a debate the Islamic speaker quickly developed another argument. He said that no matter what the other books of the Bible say, Jesus is not said to be God in the Gospels. It was at this time that his Christian antagonist directed the audience to consider the gospel of John. There can be no doubt that Jesus is presented as divine in this gospel. From the beginning, John insists on the divine essence of Jesus, beginning with the declaration that He had always existed, and that it was through him that everything was created (John 1:1-3). The first three verses of the Gospel of John therefore present Jesus as “God, the eternal being by whom the universe was created.” The prologue of John concludes by stating that Jesus is “God, the only son, who is in the bosom of the Father” (John 1:18). The continuation of John’s Gospel abounds with details concerning the divinity of Christ. Jesus is worthy of the honour that must be given to God (John 5:23); He asks the people to have faith in him as they have faith in God (John 14:1); He proclaims himself as the one who makes salvation possible (John 5:21); and He is the visible manifestation of God in the flesh (John 14:18); He is the king of another kingdom (John 18:36-37); He has power over all things (John 3:35); And he professes to be able to do all that is required in his name once he has gone, which implies that he is claiming to be omniscient, omnipotent and omnipresent (John 3:13, 14:13). He also proclaims to his opponents that there is no salvation without believing that He is God(John 8:24), and that he existed from all eternity before Abraham (John 8:58). In these two verses, he uses the divine name of Yahweh of the Old Testament: “I Am.” He takes to himself the name of God, as it was given to Moses in Exodus 3. Towards the end of this gospel there is a disciple who realised who Jesus was. He exclaimed, “My Lord and my God! ” Importantly, Jesus did not rebuke or correct him. Instead Jesus answered him, “Because you have seen me, you have believed, blessed are those who have not seen and believed.” (John 20:28-29). The culmination of the gospel of John is that disciple proclaiming that Jesus is God, and Jesus commending and accepting this affirmation. From the beginning to the end of this gospel, Jesus is identified as God. This statement is like an electric shock for the Islamic world. If Jesus has indeed asserted that he is God, then the Koran is wrong about it, which amounts to saying that Islam is false. The Muslim involved in the debate could not make any concession on this point, so he had to find a way out of the dilemma. “Jesus is clearly presented as God in the Gospel of John … In John’s enigma, Jesus said things such as,” Before Abraham was, I Am “(John 8:58, taking on him The name of God, as was said to Moses in Exodus 3); His Jewish enemies knew very well what he was saying: they took up stones to stone him. Later he says: “I and the Father are one” (John 10:30). There, again, the Jews took up stones. Later, he taught his disciples, “He that has seen me has seen the Father.” And in one of his prayers he asked God, “And now, Father, glorify me with yourself with the glory that I had with you before the world existed” (John 17:5). That is not only the conclusion of Bart Ehrman, but of any honest reader of the Gospel of John. I say again that this presents Muslims with a dilemma. They accept the Koran as true, and that the Injil is the Word of God. Yet in that Injil not only do the writers declare that Jesus is God, but Jesus Himself unmistakably states it, and approves of those who say it. There is also no doubt that the Jews responded by stating that they were going to stone Him for the very reason that He, though a man, was claiming to be God. Jesus never said, “You have misunderstood what I meant.” Instead on every occasion He accepted it, or even went on to underline that what they thought He was saying was indeed what He was saying. The Injil does declare that Jesus, though a true man with a body and soul, is truly God incarnate.